As promised, I finally put together the travel guide to Quebec City. I don’t know if it has something to do with the Canadian cities that is causing me to post them so much later than planned but it has been happening. So sorry about that! I promise you, on our next travel trip, I will not make you all wait 4 months for it. 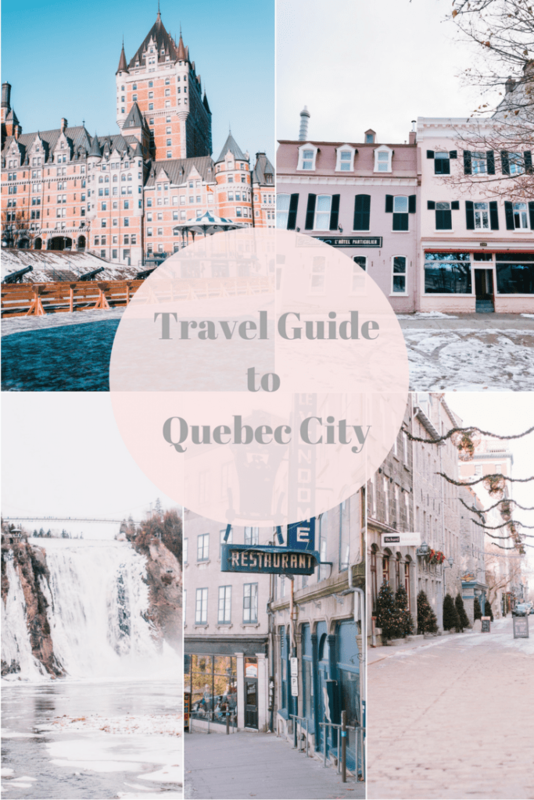 I also hope that this travel guide to Quebec City can convince you that going there around the holidays would be the cutest winter getaway! 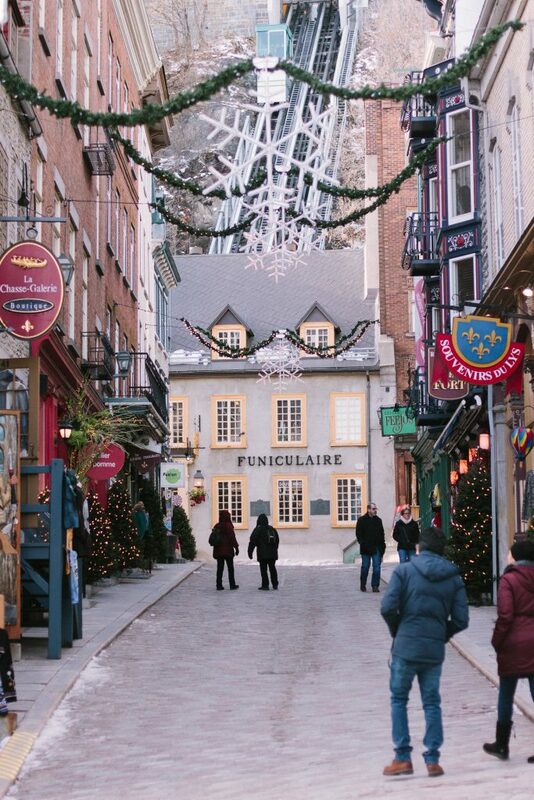 As a refresher, we went to Quebec City in November. To be precise, we went the last week of November (right after Thanksgiving). We were inspired to visit Quebec City after our trip to Montreal. We had been hearing those two cities being compared nonstop so we had to see what Quebec City has to offer. After doing some research, we heard that one of the most fun and unique experiences is to visit during the holidays. 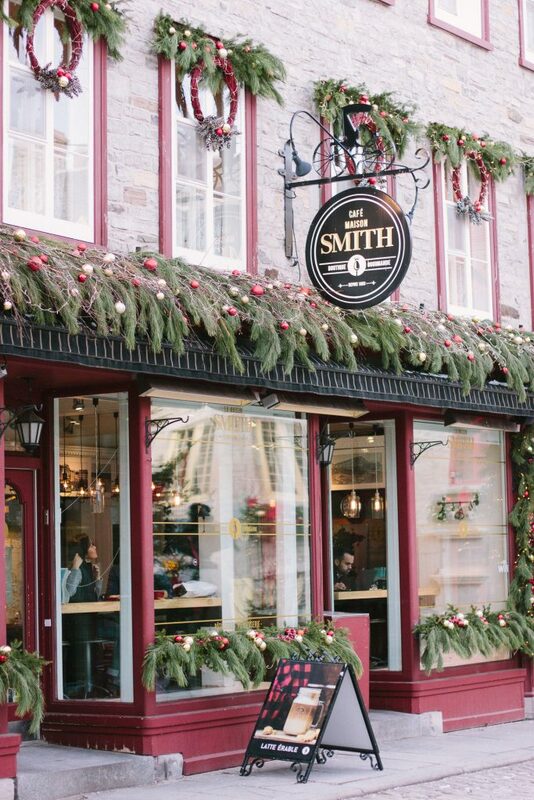 All our research basically told us that Quebec City turns into a Christmas village. We love Christmas and Tre is obsessed with Christmas decor so we just had to see if it was worth the hype. You got it, we were willing to brave the cold for this. We stayed in Quebec City for 4 days and 3 nights and we honestly think it was a good amount of time! So without further ado, here is the travel guide to Quebec City. We stayed at the Auberge Place d’Armes. We loved it! 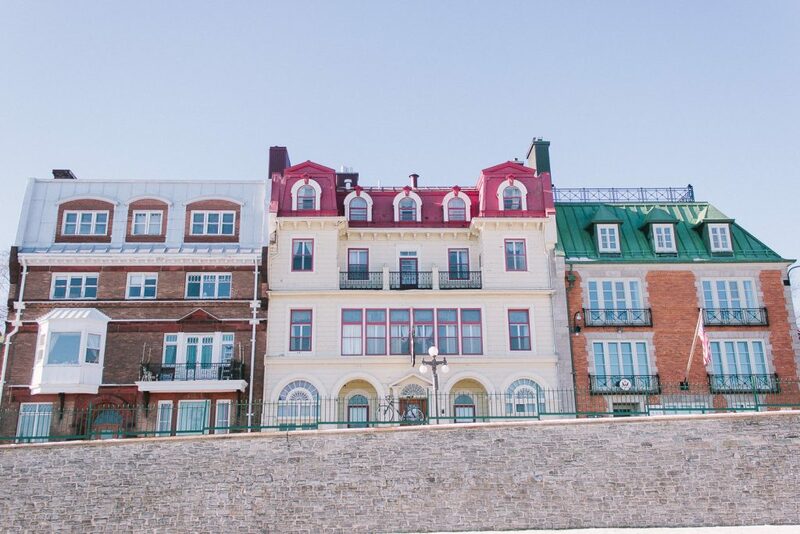 The location was perfect and it is right across the street from the Fairmont Le Chateau Frontenac. 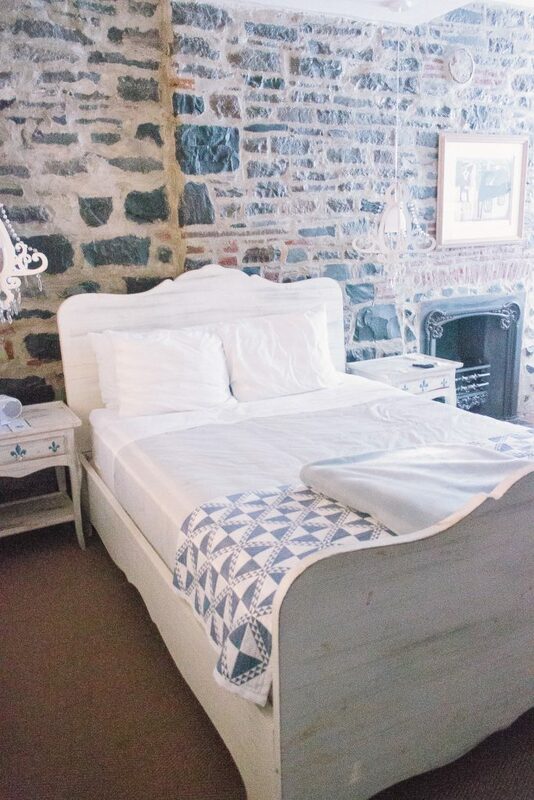 Of course, you can stay there too, but the Auburge Place d’Armes has so much charm. 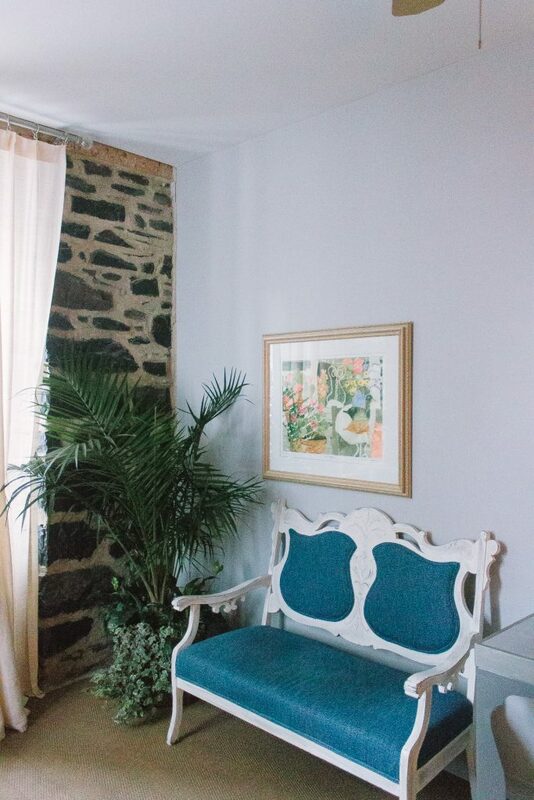 The rooms have a lot of character and the staff is very friendly! 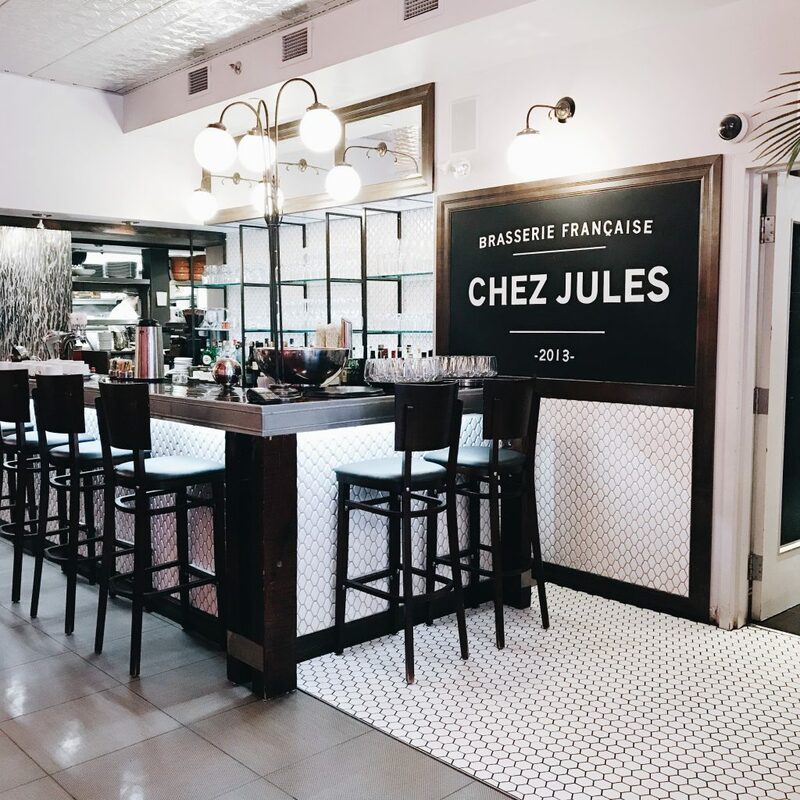 It is attached to the Chez Jules restaurant (which is a delicious place to eat by the way), and you get free breakfast at Chez Jules! 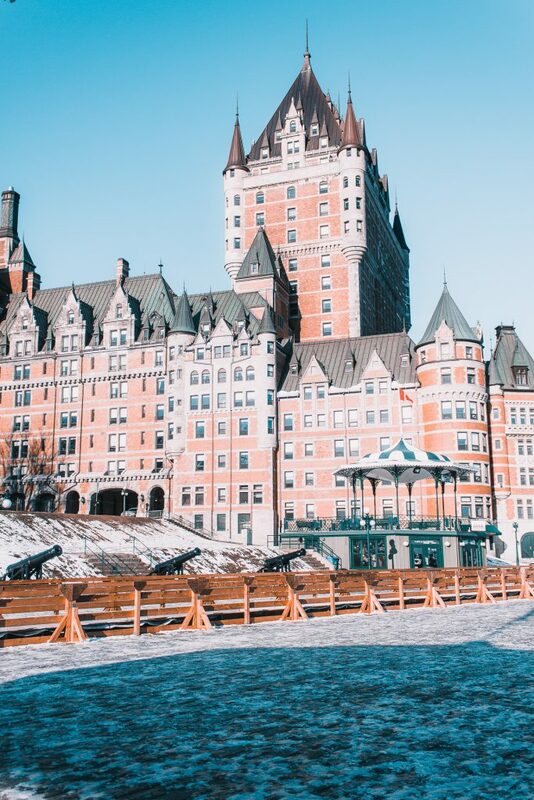 Please keep in mind that this travel guide to Quebec City mainly focused around the holiday experience Quebec City has to offer. It is a large Christmas market and has so many unique things to look at, buy, and eat! It definitely gets you in the holiday spirit and obviously we had the famous German Spiced wine Gluhwein! This market is only available during the weekdays. So if you want to see the Christmas market, I highly recommend that part of your stay is during a weeknight(s). 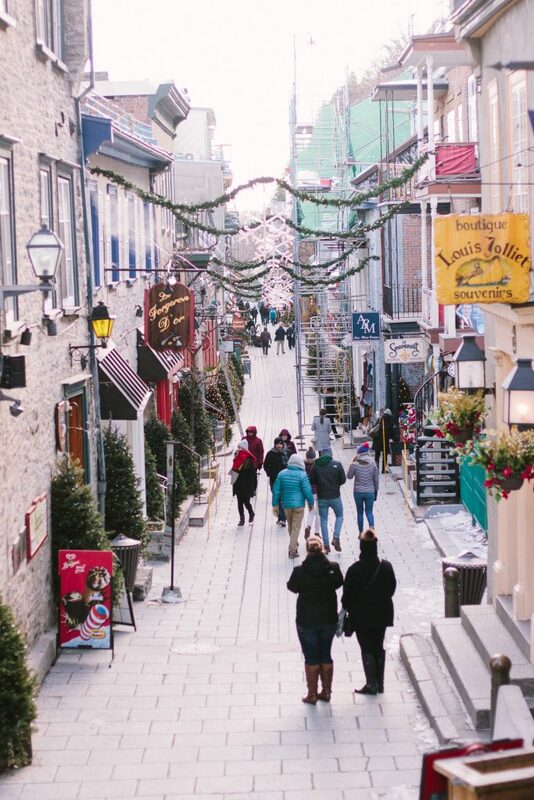 The biggest appeal of Quebec City is Old Quebec. There’s so much charm and a lot of European history. The streets are so cute and there are so many shops! I really enjoy just walking around and oo-ing and ah-ing at all the streets. Around the holidays, every door has a real Christmas tree right by it! This is probably the most famous building/hotel in Quebec and it is the quintessential face of Quebec City. If you’re not staying here, it is definitely worth checking out. The architecture is beautiful. Reminds me of a castle. In the winter, there’s a large slide where people can go tobogonning! The lobby is filled with rows of Christmas trees! This is the most popular street in Old Quebec and in my opinion the cutest! It is the most festive with decor and Christmas lights hanging above and wreaths on every post. This area is where you’ll find the giant Christmas trees. So if there is anything you take away from this travel guide to Quebec City, it is to for sure see this street! This port is where you will find an indoor french market. You can find so many French and Canadian delicacies in this indoor market. There’s food available too! We stopped here for some snacks. I loved the empanadas!! This waterfall is right outside of Quebec City. During winter time, the public transportation wasn’t available (only during warmer season), so we had an Uber take us there. It is so worth going! The Falls are beautiful! Unfortunately, due to the icy winter conditions, a lot of the spots are closed. It was so cold that I had to dress like this. 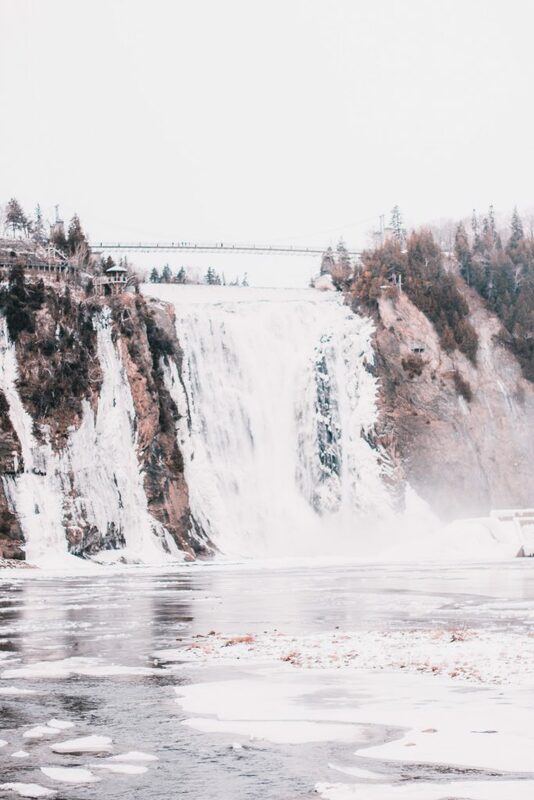 We definitely want to come back in the Fall so we have more options to explore Montmorency Falls. This cathedral is in the heart of Quebec City and you can’t miss it! It is smaller than the one in Montreal, but it is still really beautiful. I get so amazed when walking through churches like these. You don’t see churches made with this amount of detail anymore. Plus, it was a great stop in between walking so we could warm up a bit. This restaurant has your classic French food and it did not disappoint. Everything we ate was delicious! I loved their escargot and oysters. Their breakfast was also very delicious. They have a good selection for the free breakfast (if you stay at the Auberge Place d’Armes). For sure one of our favorites! This is along Rue du Petit Champlain and they have a good selection of pastries! So, of course, we stopped here for some delicious French Macarons, hot cocoa, and a latte. This is what it looks like right in front of Gigi’s. As mentioned earlier, this is a great place to eat for a meal or snack. There are several vendors at this indoor market and the options seem to be endless! This is for sure my favorite coffee shop! There are 4 locations and all are within walking distance. We went to all 4 haha! But my favorite location is the one on Place Royal. I just love the location of this one and the storefront is so cute. Plus, it is right by the giant tree! Another cute cafe! We stopped here for lunch and of course had to have coffee and hot cocoa. Their lattes are really good! Tre had to get the molten chocolate cake and he says it is the best he’s had. I believe there are 2 locations. We went to the one on the cul de sac right by Rue du Petit Champlain. The food here was so good! We are obsessed with their Chorizo & Fig with Truffle Oil pizza! Even now, we keep talking about how amazing that pizza was! This is right by City Hall and it is your classic European pub. I really enjoyed my fish ‘n’ chips! 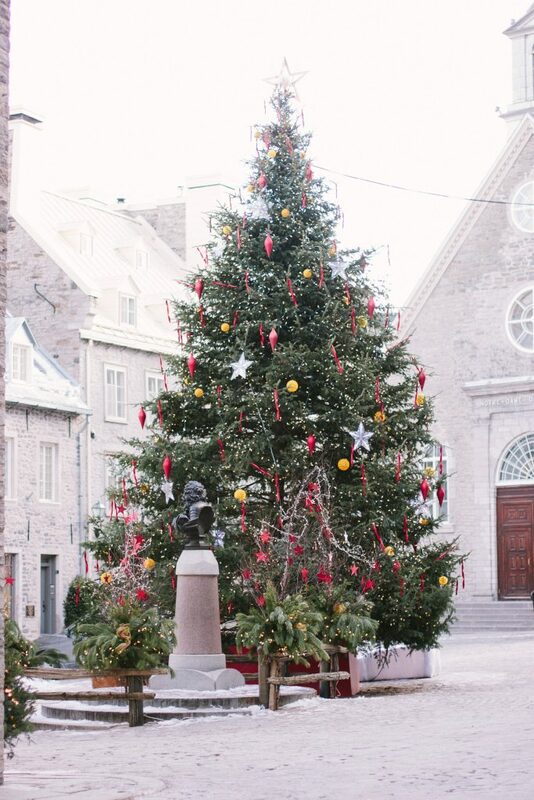 Walked some more around Old Quebec and checked out the big tree. Snacked at La Maison Smith and had some hot cocoa. Hope you found this travel guide to Quebec City helpful! I highly recommend going around the holidays. Everything there just brings out your cheerful Christmas spirit and it will make the trip to the cold so worth it! Without a doubt, we would love to come back again around the holidays. However, I would love to explore Quebec City in the Fall too. That way we can see more of Montmorency Falls and explore without constantly stopping to warm up! Doesn’t it?! It was amazing! Thank you Lauren! You always travel to the coolest places! Quebec is SO gorgeous and full of charm! Great post, babe- you’re making me want to book a trip! The charm there is so darling! Thanks Ashley! Quebec City is adorable! My mother is from Montreal so we go all the time! No way! I love Montreal! Oh my !! It looks freezing cold but still so beautiful!!! Haha it was cold but still worth it! 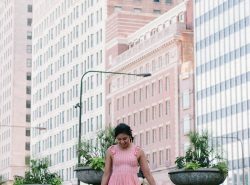 These pictures make me think I’m in Europe! I love how beautiful every picture is and I love the village style it brings! I’m bookmarking this for when I go! What a beautiful place! Totally adding this to my travel wish list! This look beautiful, I’ve always wanted to go to Quebec City! When I finally get there, I’ll come back here for your guide! It is such a great place! It looks lovely! I have never been to Quebec. I hope to explore more of Canada some time, but the cold freaks me out. I’ll have to go in the summer and most likely start with Vancouver. Canada has so much to offer. Yea it was cold so I recommend going in the summer. I’ve always wanted to go to Vancouver! Oo that is exciting!! Happy travels to you! Wow… this looks amazing!!! I would love to go to the German Christmas Market!! You’ll have a fun time! What a beautiful place!! It seriously looks like a dream!! I would absolutely love to visit sometime! I love how you broke it up by day. I could totally just copy what you did! Looks incredible. Thank you Amy! I figured it would bet helpful! It would be so much fun to visit during Christmas time. I love the way this cute town is so festively decorated. I completely agree! It makes the cold weather so worth it! Pinning all of this! 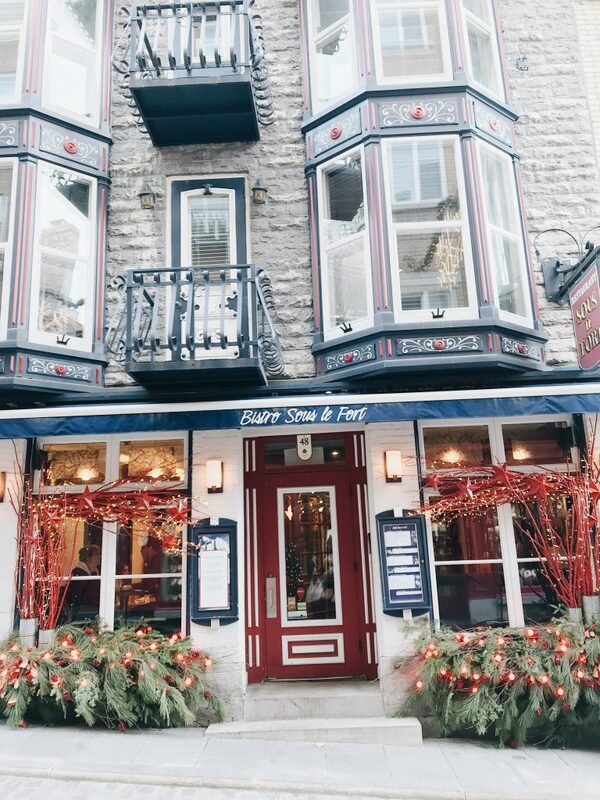 Quebec City is on my travel bucket list and you’ve just made it jump up a couple of spots! Aw thanks Laura Leigh! You would for sure love it there! I heard great things about this place. That’s why I added it to my bucket list. Struggling with a creative and baroque soul. I try not to be overwhelmed by excesses. Sometimes I land. I’ve been dying to go to Quebec City for a while now! Such a great travel guide. it looks lovely! I want to go! The architecture is so darling. What a great city for a lil getaway. Have a sweet day! It is so cute there! I have never been to Quebec! 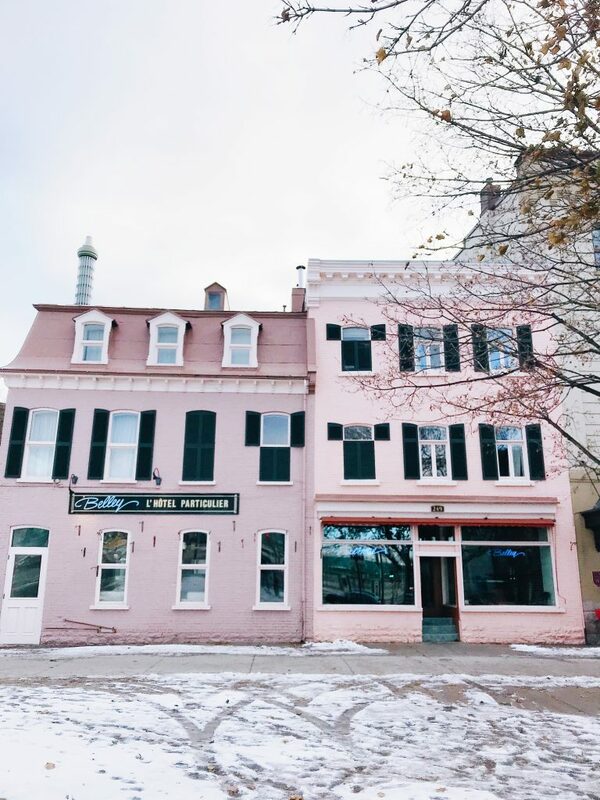 looks like such a cute place to visit! Oh my! This is sooo adorable! I always knew Quebec is beautiful, these pics are a testament of that! Thanks for sharing dear! Will definitely put this on my bucket list! Thank you so much Jessica! I can only imagine how beautiful your photos would be!